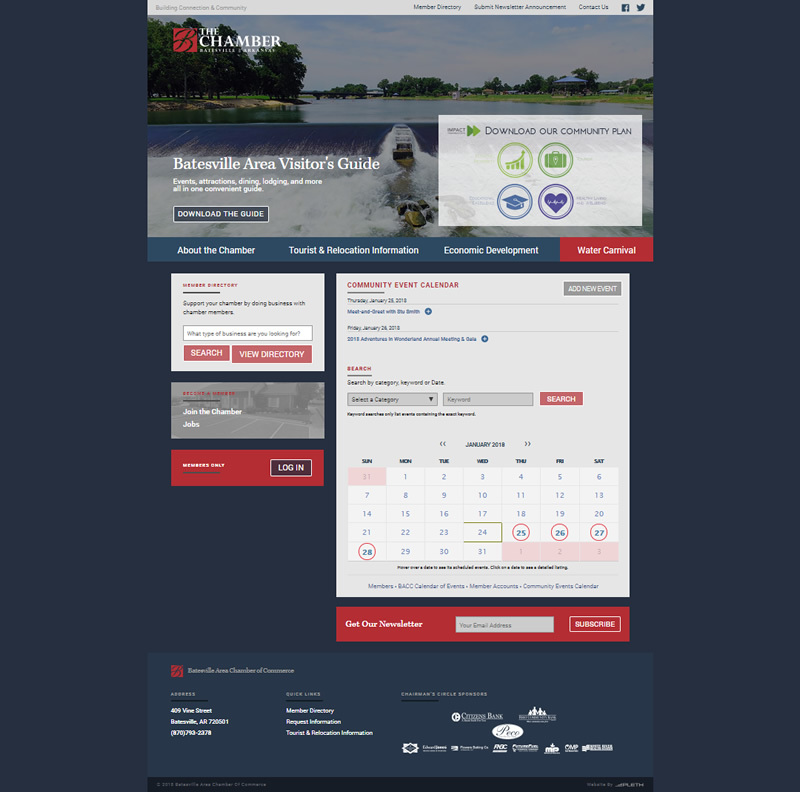 VisionAmp worked with the Batesville Area Chamber of Commerce to put together a new and updated website for the Batesville Area Economic Development Alliance. The new mobile-friendly and responsive website is like four websites in one. Each division of the Alliance (Chamber, Economic Development, Tourism, Impact) has a separate section with its own information and navigation. This makes it easy for visitors to the site to find the information they need. From one division to the next, the color scheme and call-to-action buttons flow to present one brand and one community. 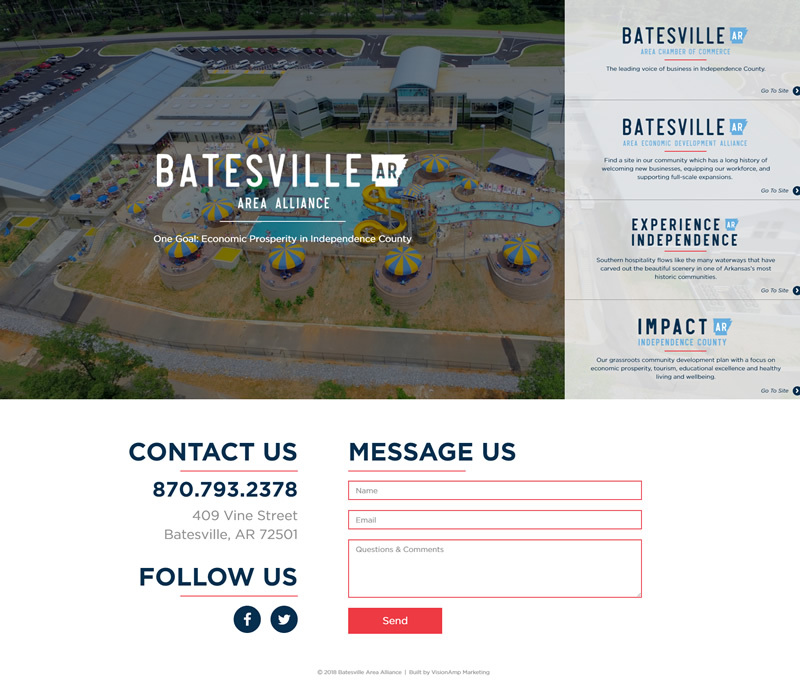 The Batesville Area Chamber of Commerce is the leading voice of business in Independence County, providing advocacy, promotion, and resources for chamber members. The Chamber sets the standard for excellence in member service, community collaboration, business growth, and achieving a high quality of life in the Batesville area.